With Pen and Paper we fight! What are the steps of the asylum procedure? What do I have to look out for? What happens at the hearing? And what happens afterwards? What is the Dublin procedure? What can I do against an imminent deportation? How can I find a flat? How can I bring my family? In open und free-of-cost Question and Answer Seminars we aim to explain how migration and asylum law functions in Germany. We want to pay attention to contradictions and peculiarities. The seminars are adressed to everybody who would like to receive or share information and who opposes this racist migration regime. Most of us study law or work in legal professions. The seminars want to provide a space for a mutual exchange und for networking. Please see the attached flyer for the new Legal Course Program in January-February 2017: Flyer legal seminars. 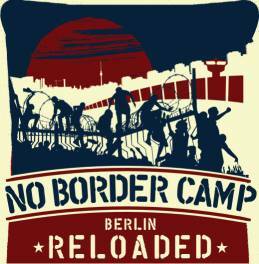 The Legal Course Program concerning the topic “deportation” by NoBorder Camp Berlin Reloaded (NBBR) will not take place today. Next seminar will be on wednesday, 02/10/2016 with the topic “refugee´s work rights. Legal Course Program has a new start! U8 Pankstraße | S1 + S2+ S85 Wollankstraße | M13 + Tram50 Osloer Str./Prinzenallee | M27 Prinzenallee/Soldiner Str. The Seminars aim at revealing the functioning of “alien and asylum laws” including the contradictions in their application. They are addressed to all people who want to oppose these racist rules. The idea is, to create space for mutual exchange and connection, and particularly, to provide an independent meeting point for self-organizing people. The seminars start at 3 pm with joint cooking and eating. This is meant to enable informal, relaxed contact and conversations, so the seminars can be designed with equal rights by all participants. Child care will be provided. The languages of the seminars will be English and German. If you like to have translations into other languages, please contact us at least three days in advance. The sessions will end by 8 pm. The Legal Course Program encountered similar difficulties as the Documentation and Networking Tour (for context see NBBR main blog). On the basis of these experiences and discussions with the participants, the Legal Course Program is being restructured. There will be regular updates regarding this. In the meantime the different seminars will be provided „on-demand“. If you and others are interested in a specific topic (Residenzpflicht as a human right’s violation, The asylum procedure, Rights during police controls (and Racial Profiling), Dublin III, Deportations, Children’s Rights) please contact NBBR through mail (or phone – for contacts see here). When Wednesday, 5th of November, 8 p.m.
Where Friedelstr. 54 (Soli goes to Friedel). evening, – everybody is invited! autonomously fight for real equality.